As the sibling of a child with autism, one may have a handful of feelings. Some children may feel that their parents spend too much time with the sibling who has autism, making them feel left out. Other children don’t quite understand why their brother or sister can’t speak or has difficulty playing with them. Public outings can be stressful for families that have a child with autism. Betsy Gingrich, age 9, knows this feeling. Betsy’s favorite place to eat is Friendly’s, but she agreed with her mom, Erin, that sometimes going out to eat can be tough with Betsy’s 6-year-old brother, Ben, who has autism and attends The Vista School. 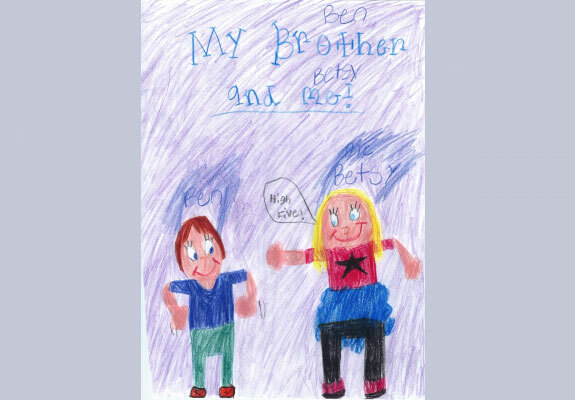 Throughout Ben’s time at The Vista School, Betsy has attended several Vista functions, such as the siblings group. Over the summer, the children in the sibling group visited The Vista School and interacted with students. One of the activities was making homemade ice cream together. Betsy was able to play a leadership role in helping out the students. “The students would request something from Betsy and she would give it to them,” said Erin.